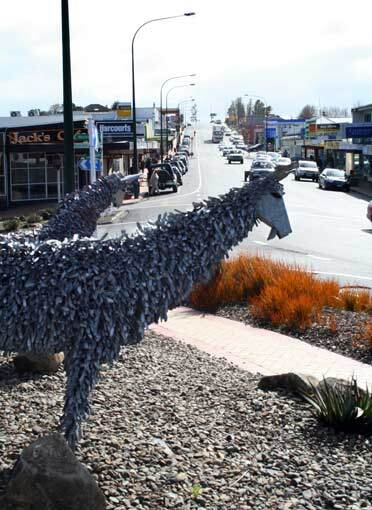 Two statues of alpacas stand on Wellsford’s main street, as part of an animal theme promoting the town. Elsewhere there are statues of a cow, three goats and three pigs. All these animals are farmed in the surrounding countryside.